GUND is proud to present Pusheen — a chubby gray tabby cat that loves cuddles, snacks, and dress-up. 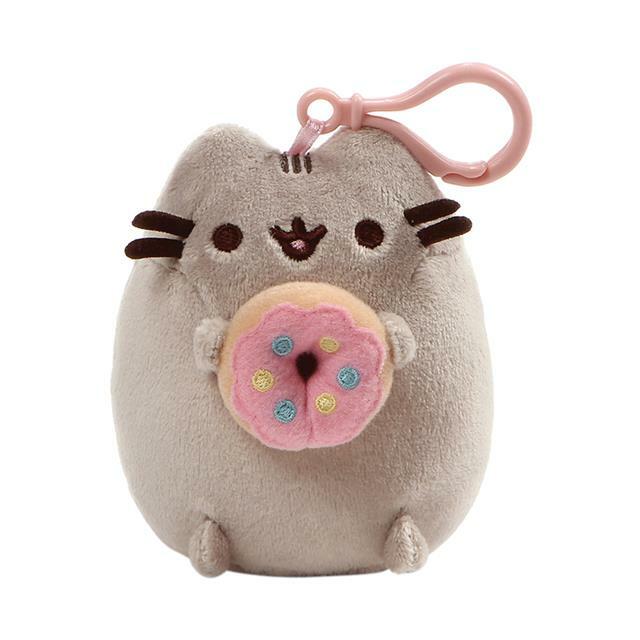 This 5" backpack clip plush version of Pusheen satisfies her sweet tooth with a yummy pink-frosted donut! Includes sturdy plastic clip for hanging.